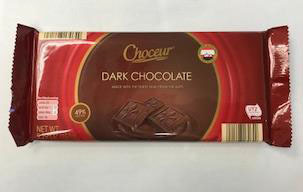 ALDI has voluntarily recalled Choceur Dark Chocolate Bars due to the potential presence of almond pieces not listed on packaging. The recall was initiated after an ALDI employee identified almond pieces in the product. 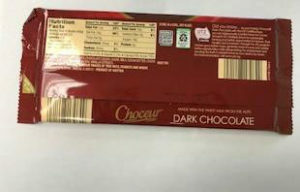 The chocolate bars may cause an allergic reaction in customers who have a nut allergy, according to a news release. The product is approximatetly 5 ounces with brown and red wrapping. UPC code is 4149817964 and the “best-by” date is July 24 of 2018. The product was available to stores in Maryland, Virginia and the District of Columbia. No illnesses have been reported so far but ALDI recommends customers have product affected by this voluntary recall, they should discard it immediately or return it to their local store for a full refund.